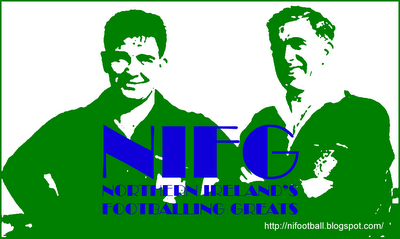 Representative Honours: Northern Ireland: Full, 1 B Cap (2009), 1 Under-23 Cap (2007). Club Honours: (with Derry) Football League of Ireland Cup Winner 2008; (with Aberdeen) Scottish Cup Runner-Up 2016/17; League Cup Winner 2013/14, Runner-Up 2016/17. Awards: PFAI Young Player of the Year 2008; SPL Player of the Month October 2012. A highly-rated winger with Derry City, Niall McGinn was linked with a move across the water, with Chelsea, Celtic and Swansea City among the potential suiters. An all-round sportsman, he also played Gaelic football for Donaghmore and Tyrone Under-21s. A product of the successful Dungannon Swifts youth set-up, McGinn signed his first professional contract in 2007 after helping the reserves to successes in the Bob Radcliffe Cup, George Wilson Cup and Reserve League during the 2005/06 season. In January 2008 he transferred to Derry City and in September he scored twice in a 6-1 rout of Wexford Youths in the League Cup Final. His season was rounded off with the PFAI Young Player of the Year award. 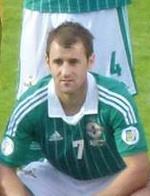 McGinn's continued good form, primarily on the right-wing, saw him included in the Northern Ireland squad for an international friendly against Hungary in November 2008. McGinn was thus the first Derry player to earn a call-up to the Northern Ireland squad since Liam Coyle in 1989. He impressed during his second-half appearance despite a disappointing 2-0 defeat. On 16 December 2008 McGinn sealed a move to Celtic for a fee in the region of £200,000. He joined up with ex-Candystripes teammate Pat McCourt at Parkhead. A match-day regular at Celtic Park through the 2009/10 and first half of 2010/11, McGinn appeared to fall from the firstteam picture due to injury. He joined League One side Brentford on a season-long loan deal for 2011/12 and was released the following summer. 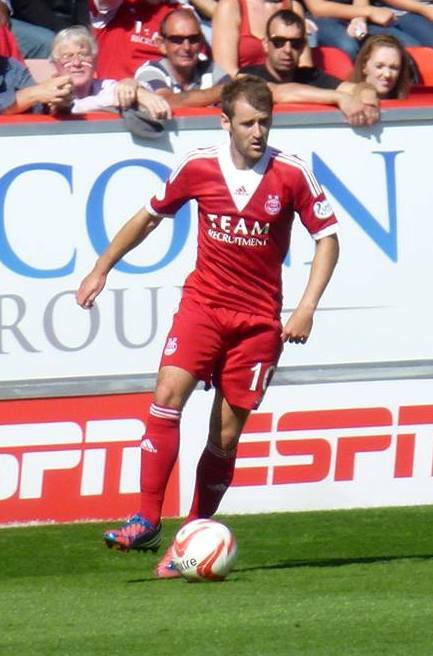 McGinn remained in Scotland, signing for Aberdeen. Dons' manager Craig Brown stated that he saw McGinn as a forward, and his faith was rewarded with a good early-season goal scoring run. That form also transferred to the international stage as he scored his first Northern Ireland goal in a famous 1-1 draw in Portugal. His performances through the 2012/13 season saw him shortlisted for the SPFA Player of the Year award. In 2013/14 he won his first major honour in Scotland as Aberdeen defeated Inverness on penalties in the League Cup Final at Celtic Park. 2016/17 brought Aberdeen runners-up spots in the Scottish League, Cup and League Cup as McGinn was heavily linked with a move away from Pittodrie. He made a surprise move to Korean side, Gwangju, becoming the first Irish footballer to play in the country. His time in South Korea was ultimately frustrating as he struggled to settle with a club who were doomed to relegation from the K League. In December he agreed a three-and-a-half year deal to return to Aberdeen.